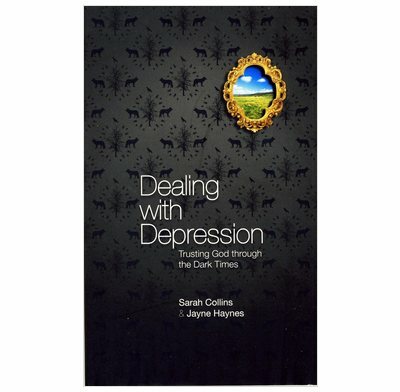 Written from both a biblical and medical perspective, this short book looks at what is depression and how to tackle it as a Christian. Depression is a common complaint in the doctor's surgery and 1 in 5 of the population that is 20% of people will have at least one major episode in their lifetime. We are reassured here that just like our physical health we can go through good and bad emotional health. But how does the Christian deal with this? It is so easy for us to be riddled with guilt but in this book the Christian is reassured that God knows and deals with us by grace, He helps us move from guilt to grace. Written from a Biblical and medical perspective. 1. Depression – what is it? 2. Why do people get depression? "I encourage every church leader and member to read this booklet so that they will see how the gospel feeds the soul, enflames hope, and enables perseverance in the darkness of life, all through the grace of Christ." "Sensitive, informative, insightful, biblical, pastoral and practical, this book will be of help both to those who experience depression and those seeking to help those suffering with depression." "This booklet will be a great help both to the many Christians who experience depression and to those who seek to help them. It is an excellent combination of Biblical principles, medical knowledge and pastoral wisdom."